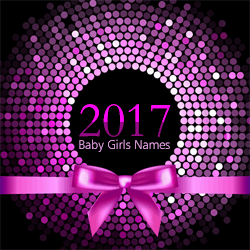 We are delighted to bring you a collection of the Top 100 Girls Names 2017 UK. This collection of names, origin and meanings comes straight from the national archives and represents the number of baby girls born and registered within England and Wales during 2017. We will keep these blogs available so that you can compare the naming trends and so the curious amongst us can look back at where our name ranked over the years. And for the younger audience where it ranked during the year of your birth.